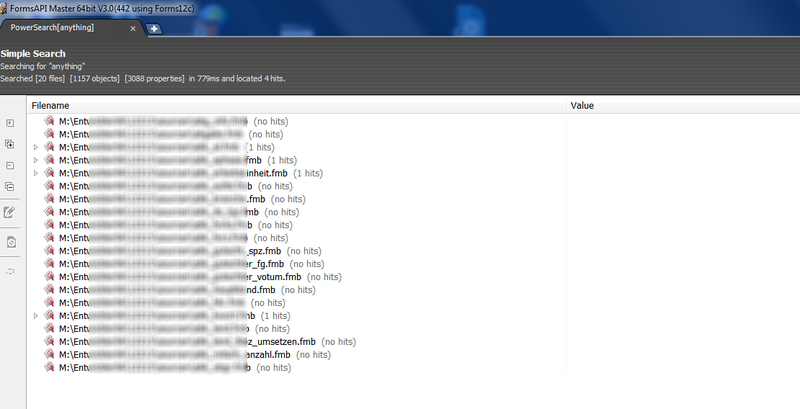 we've detected a bug in the newest version (Build 445) of FormsAPI Master. Everything works fine, when I use the PowerSearch and search for a string that exists in the current Oracle form (e.g. 'null'). But when I try to use the PowerSearch with a string that does not exist I most often get 'Access Violation' error as shown in the picture below. Everything works fine with version (Build 442) and I have admin privileges. Build 446 will come out on Monday and fix this issue! Hi Stefan, was this issue fixed with the Build 446? I'd just like to get a confirmation before I commit to this software. Yes, as far as i know the issue was fixed in 446.